Wood firing. September 2014. -- Large bowl. Unglazed outside. 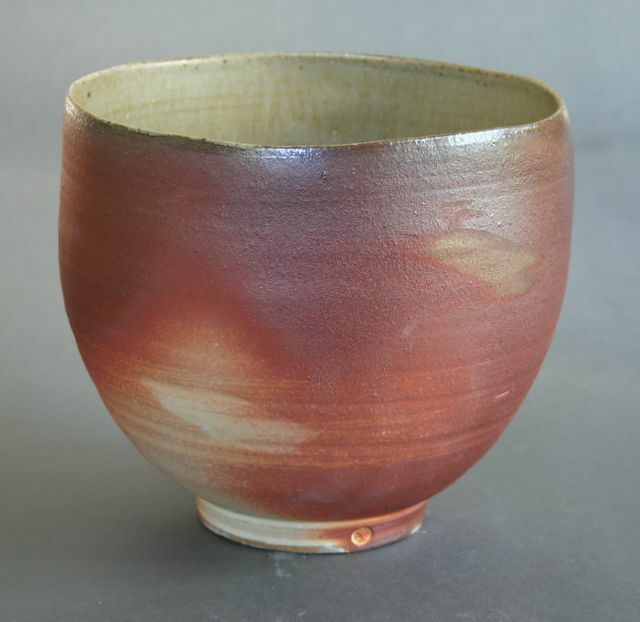 Rhododendron ash glaze inside.